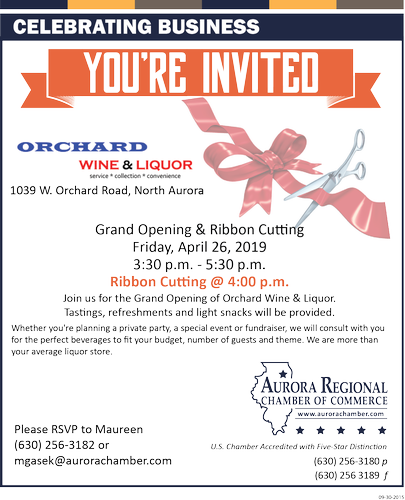 Event Description Join us for the Grand Opening of Orchard Wine & Liquor. Tastings, refreshments and light snacks will be provided. Whether you're planning a private party, a special event or fundraiser, we will consult with you for the perfect beverages to fit your budget, number of guests and theme. We are more than your average liquor store.